▶ SoldThis listing was sold on Oct 19, 2017 for the price shown here. No Showings until Open House 8/20 1 p.m. - 3 p.m. UPDATED WITH HISTORIC CHARM!! 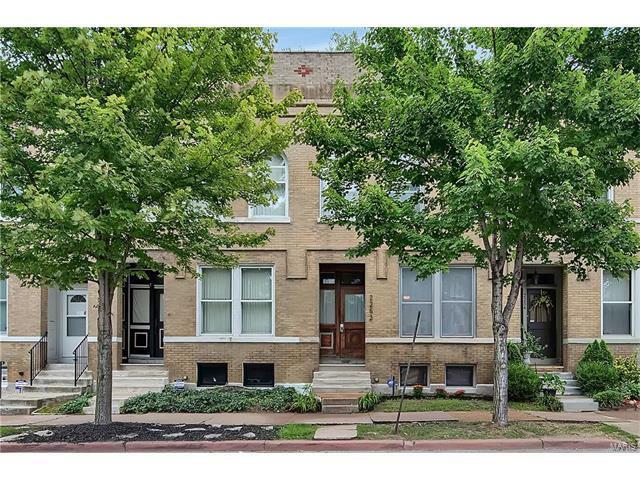 This lovely Row House is a beautiful representation of the Grandeur of Compton Heights. The first floor is open and spacious with a beautiful entry way, over 10ft' tall ceilings, arched doorways, historic trim work, and two period fireplaces. You will absolutely love the way this home combines historic details and modern convenience. The kitchen is spacious with plenty of cabinet space a butlers pantry. This home is move in ready with an updated half bath on the main level, updated full bath on the upper level and large rooms filled with light from the large windows and plenty of space for any type of furniture. The gleaming original wood floors are just what you want in a city home. Also, enjoy the convenience of restaurants and shops within walking distance. 44 to Grand, South on Grand to Shenandoah, East on Shenandoah, North on Nebraska.